Welcome to our website! Thanks for dropping by. Healthy eating and exercise are foundations necessary for living a fulfilling life. 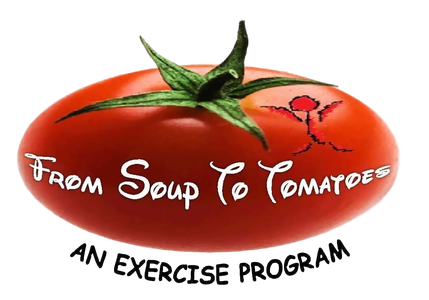 From Soup to Tomatoes is a unique armchair-based exercise program that's helping real people achieve health and fitness goals they never thought possible. But don't just take our word for it. Watch the video below and see for yourself what From Soup to Tomatoes is really all about.